The season has been painful enough. It has been 15 games of agony, a trail-of-tears march across broken glass. You could spend a day debating if the pitching has been worse than the defense, and if the hitting has been worse than them both. 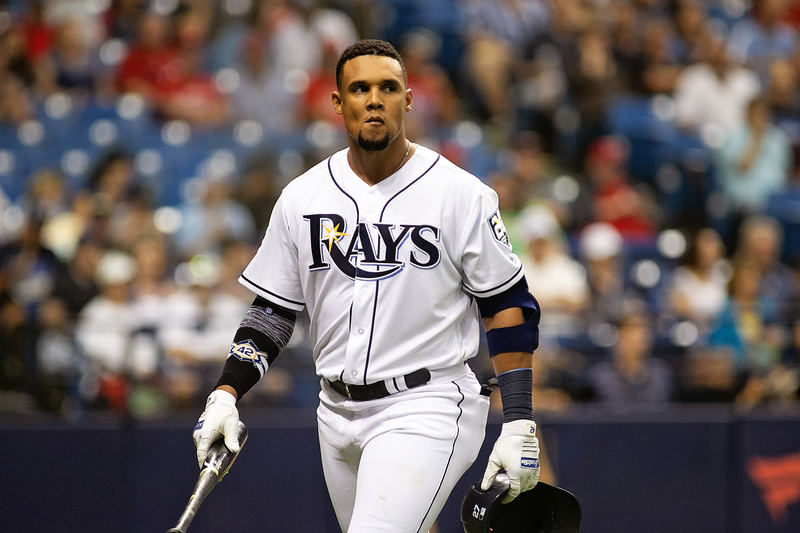 The more you think about it, the more you think you have the measure of the agony of the Tampa Bay Rays. 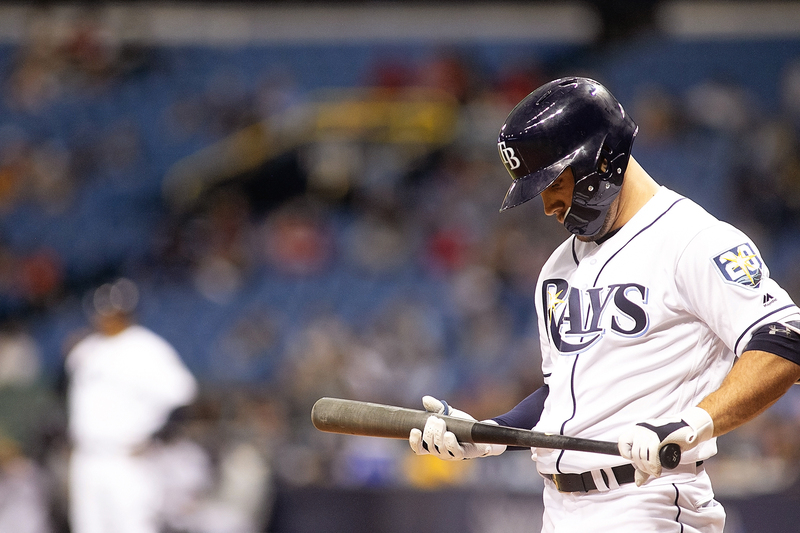 And then you see the frustration reflected in Kevin Kiermaier's glassy eyes. He won't admit it, but he is hurting, if you want to know. Once more. 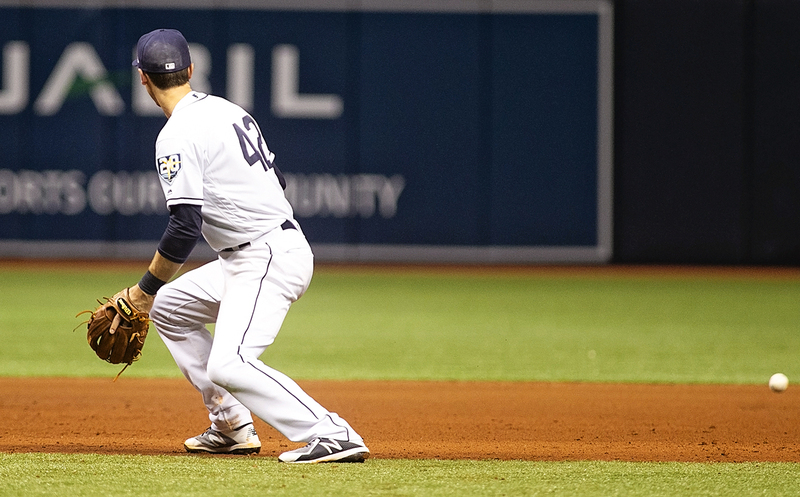 Kiermaier slid into second base Sunday afternoon, and his right thumb went in a direction all its own. He pulled at it, hoping it was just jammed. It wasn't. He stayed in the game, because that's what Kevin Kiermaiers do. But after scoring, he picked up a ball and tried to squeeze it. It felt wrong, crazy wrong. And so he is out again, injured again, trying to deal with the disappointment again. again. He played only 98 games last year because of a bad knee. He played just 105 the year before because of a bad wrist. Now, his thumb feels foreign to him. The X-rays were negative, but he figured nothing was broken. It is damage to the ligaments and tendons he fears. It is a possible surgery. borderline recklessly, that he tends to get hurt. "It's beyond frustrating," said manager Kevin Cash. "We are all tired of K.K. getting hurt, and there's nothing he can do about it. He goes about his business as hard as anyone in the game. "It was a typical K.K. play, busting it to second base. You'd like to see a little more reward for that than missing significant time. This is three years running now that there is a chance he's going to miss a chunk (of time)." Kiermaier has been through this before, the pain and the dejection. Still, that doesn't help a lot, however. 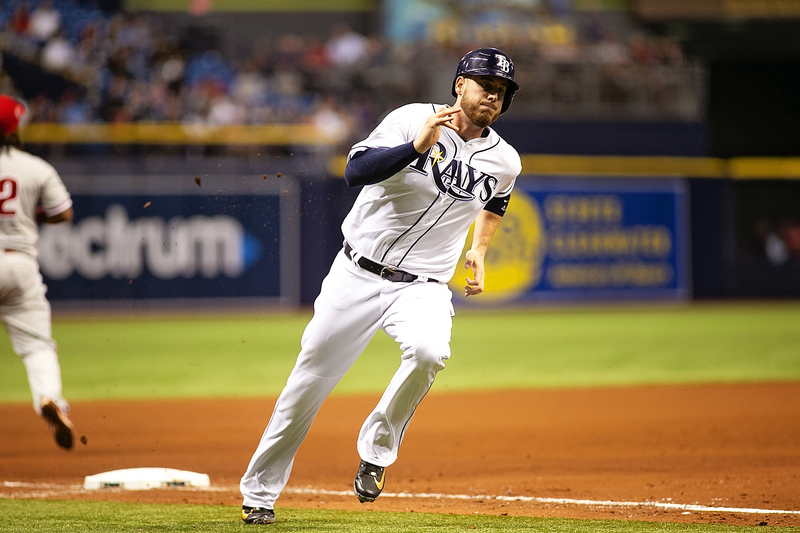 Baseball is an everyday sport, and no one likes being on the outside, especially Kiermaier. 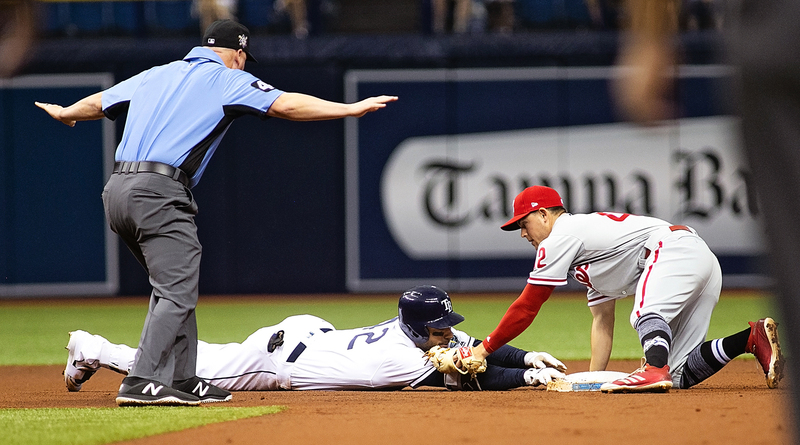 "I knew it was going to be a close play, and my hand just got caught on the ground and my thumb went with a weird angle," Kiermaier said. "I didn't like the way my thumb felt as far as how it was looking or how it was moving. I told them I could run the bases. "When I got in there, I tried squeezing the ball and I shut it down right away. I knew something wasn't right. I can't believe I'm saying this for a third year in a row. The hardest part is that I feel I let a lot of people down. Teammates, community, coaches. I harped on this during spring training that I just wanted to stay healthy for my teammates and I want to put my talents on display for a full year. That's in jeopardy now." Does that leave a man angry? Irked? "I'm not angry," he said. "I'm disappointed. I’m just trying to make a play and take an extra base. I’ve slid 1,000 times in my life. My thumb went in a direction it wasn’t supposed to. " He spoke flatly, not showing any of the frustration he must have felt. 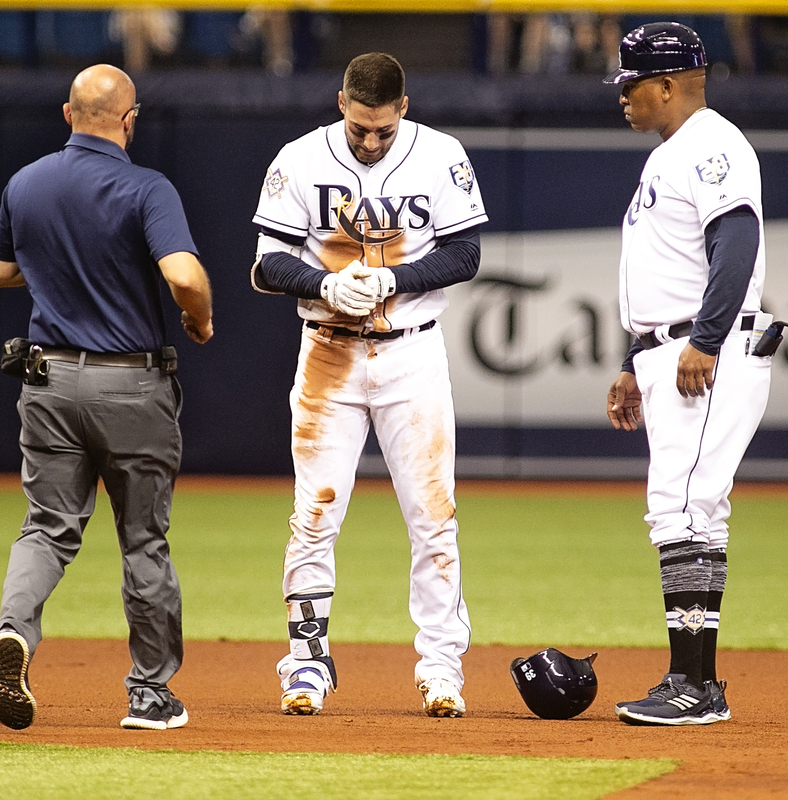 If there is a player's pain that can be felt by the fans, it is Kiermaier, the guy who who plays so hard, who never lets you forget how much this game matters for a 31st round draft pick who entered with no expectations. This had to be hard for him, however. He is a passionate player, and he knew, despite his batting average, that other players looked to him to lead thew way. You can't do that on the disabled list, however. All you can do is wait until you are an active part again. It's not fair, but you wonder. Would he protect himself better by sliding feet first? "I don’t think you can change a style," Cash said. "It would be way off for me to second-guess anything that K.K. does. if you’re picking a style for other players, that’s the style." 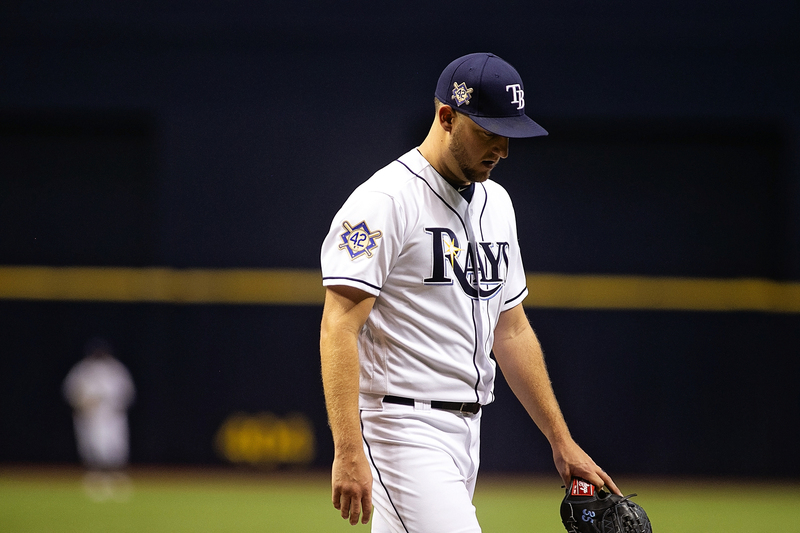 This time, the bullpen day didn't go well for the Rays. Starter Ryan Yarbrough gave up two earned runs in 4 2/3 innings. Reliever Matt Andriese gave up two in 2 1/3. Reliever Andrew Kittredge gave up three in an inning. Does that give a new meaning to bullpen day? “We are going to debate it probably for a while," Cash said. "Anytime you do something different, it’s going to get debated. We understand that. We knew those thoughts were going to come along with it. It also hurt the Rays that they ran into a bit of bad luck. 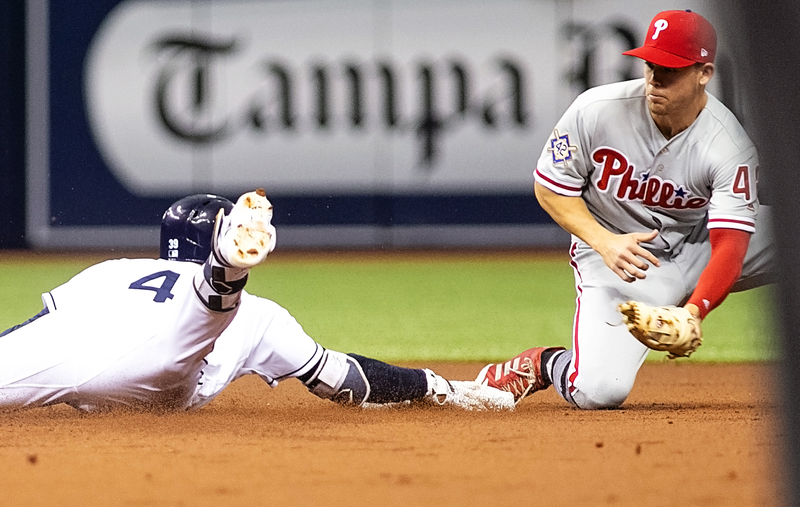 In the Phillies four-run third, the bases were loaded with two out when Scott Kingery popped up. On the way down, however, it hit a cable holding up the netting and bounded away.Kingery then hit a bases-clearing double. "I had it. 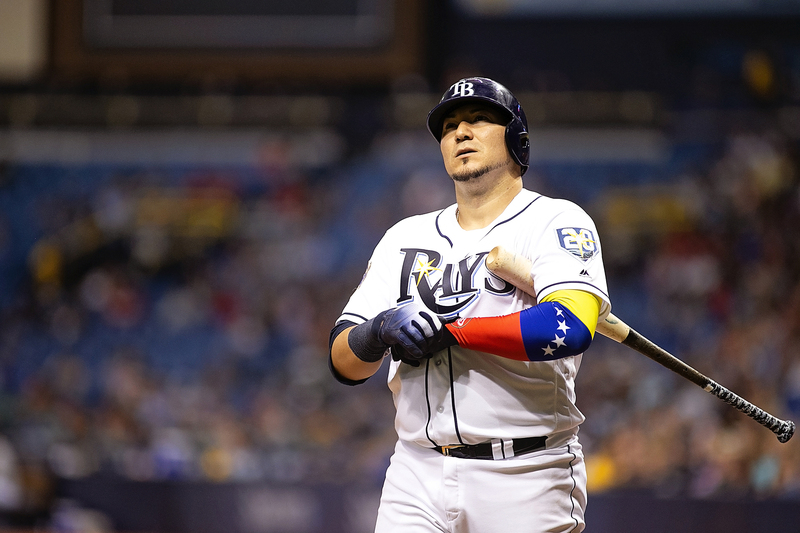 It just hit the cable," Rays' catcher Jesus Sucre said. "If that ball don't hit the cable, I have the ball right away, and that's the third out. Man, it's tough. That's how things are going now. We've got to do something to turn the page." 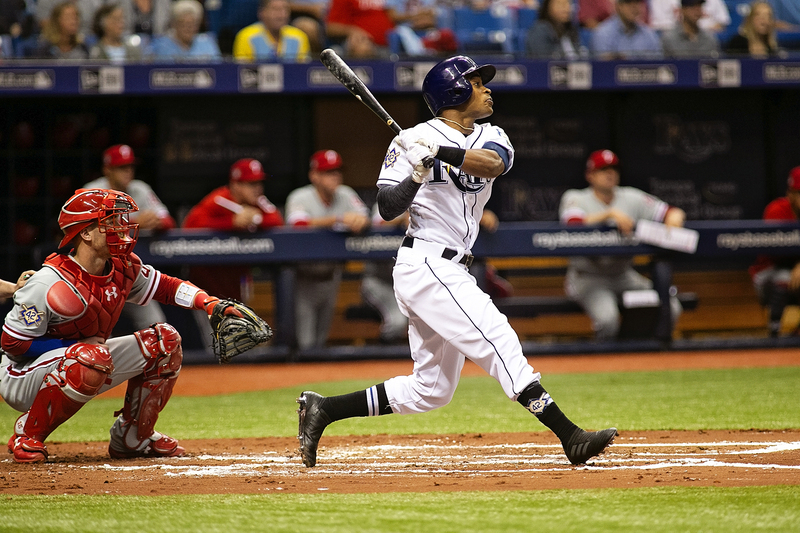 Mallex Smith had two hits to up his average to .350. Also with two hits were Denard Span, Johnny Field and Sucre. The Rangers come to town tomorrow to start a three-game set. 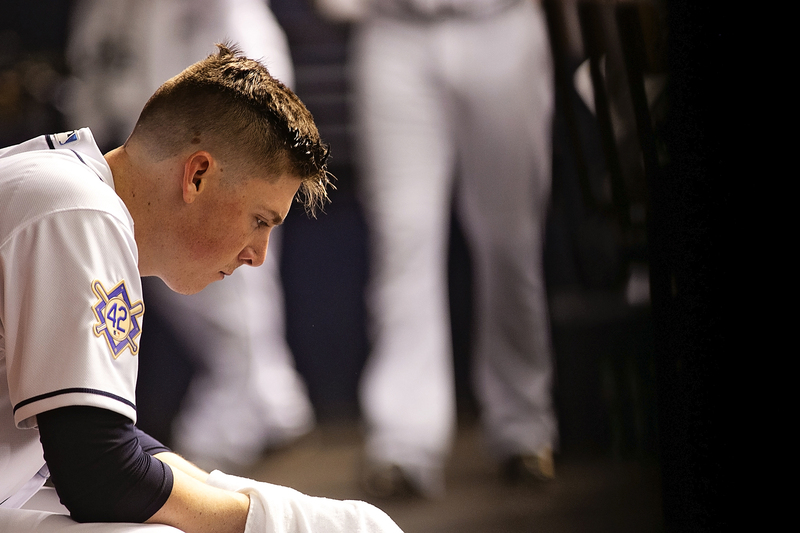 Pitching in the first game will be the Rays' Blake Snell against Martin Perez. Sorry to see KK out. Looks like 8-12 weeks after his surgery. 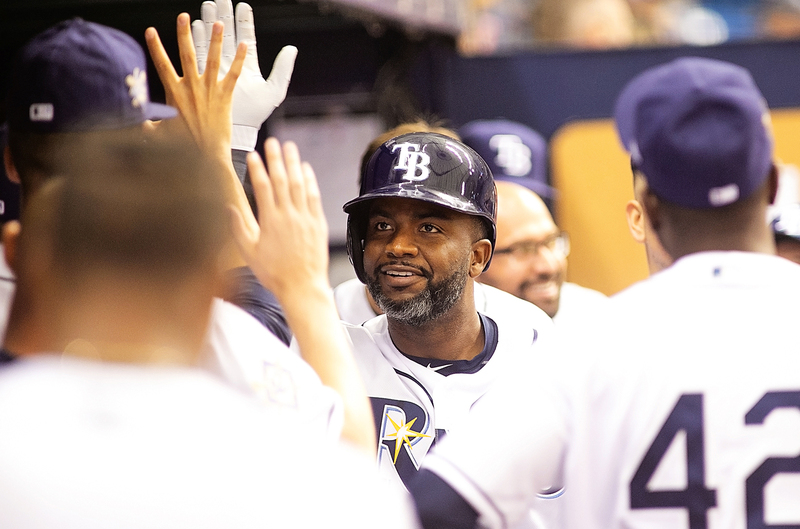 I suspect the Rays will start selling their best talent earlier than usual. My prediction of 60-102 might be too optimistic. I feel that way sometimes, too. But I’m sticking at 61-101. I had increased it to 68=84, but I must have been giddy. Previous post: Random thoughts: NFL a Reefer Madness sequel?